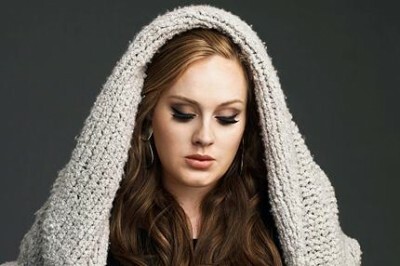 British R&B star Adele has been forced to cancel all of her remaining appearnces and concerts for the rest of the year in order to undergo throat surgery to repair a hemorrhaged vocal chord. According to the star, the vocal ailment isn’t due to the singer’s live performances, but because of too much offstage chatter. “I damage my voice offstage, not onstage,” Adele said to The Sun. “Onstage I am fine as apparently I am technically great, but when I talk I damage my voice big time.” Harvard professor and throat specialist Dr. Steven Zeitels, who has treated Aerosmith frontman Steven Tyler for a similar malady, said the problem is not a serious threat to the 23-year-old superstar’s career. ”It’s very fixable, basically,” he told Rolling Stone. “This is not something that’s a deal breaker, even remotely.” The doctor said that while surgery is not usually required for the condition, Adele’s repeated injuries have made the operation necessary. Vocal issues were the reason the singer scrapped her entire, 10-date U.S. tour earlier in the month. But the singer said she has had a long history of vocal problems. ”The fact is that I have never been able to fully recover from any of the problems that I’ve had … if I continue to pick up everything before I have properly conquered these problems and nipped them in the bud, I will be totally and utterly fucked. Singing is literally my life. It’s my hobby, my love, my freedom, and now my job. I have absolutely no choice but to recuperate properly and fully, or I risk damaging my voice forever. I’m gonna [sic] smash the ball out the park once I’m touring again,” she wrote in an October 4 blog post. But if you can’t wait until then, the singer plans to release a live CD and DVD entitled Live at the Royal Albert Hall on November 29.